Body, mind, spirt; peace, love, and joy. 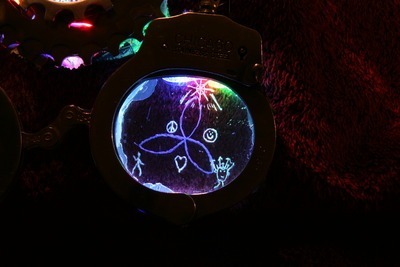 This is engraved glass light art. It is done freehand using a high speed diamond engraving tools. And yes, it does have mistakes. Engraving does not let you erase. And yes, that is a real police issue stainless steel handcuffs in which this sculpture is mounted.